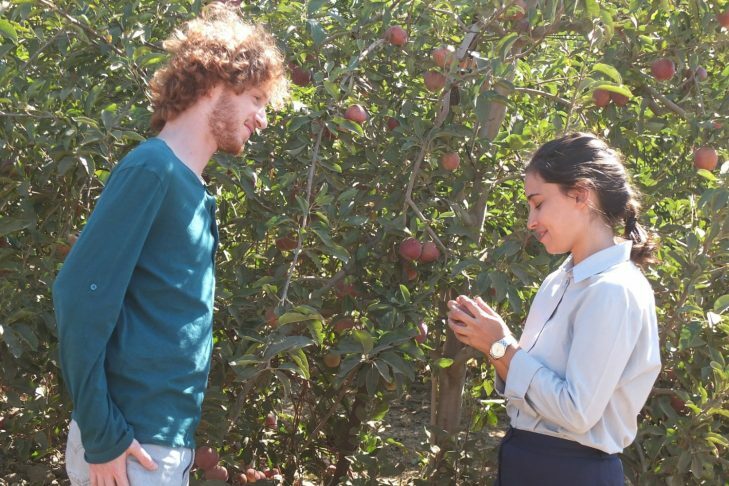 Rebecca (Moran Rosenblatt) begins to explore life beyond her strict Orthodox home and runs away with an attractive kibbutznik (musician Elisha Banai). In the beautiful and open surroundings of his Kibbutz, she discovers a new identity and must re-establish a relationship with her family. Based on the short story by Savyon Leibrecht.